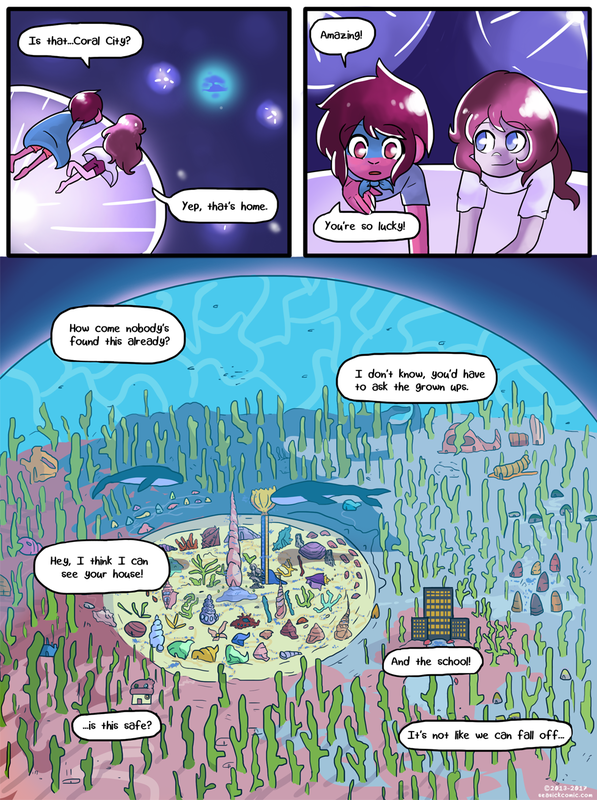 chapter-one-page-seventy-five – Seasick – The Underwater Adventure Comic. Updates Fridays! on April 17, 2017 and modified on April 17, 2017. We’re back! Just in time for the start of the week, too! Last week was hectic what with a whole new visa application process…but now it’s sorted, and pages can resume three times a week, Monday, Wednesday and Friday! We’re sooo close to the end of CHAPTER ONE, so please look forward to it – and thanks so much for reading! !